This book is a very good introduction to machine learning for undergraduate students and practitioners. It differs from other textbooks in its original coverage of the philosophical aspects of inference and their relationship to machine learning theory. This will allow readers to develop a better understanding of generalization problems and learning algorithms. 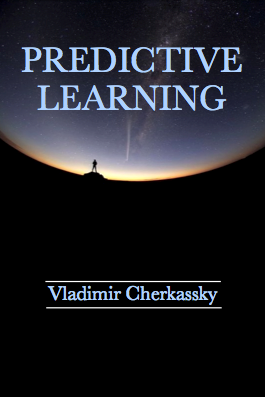 About this book: This book offers a non-mathematical approach to machine learning, emphasizing its predictive aspects. Descriptions start with conceptual and philosophical ideas, and proceed to a systematic coverage of constructive learning algorithms introduced under coherent predictive learning framework. A significant portion of the book describes the philosophical aspects of learning from data. An intriguing connection between philosophical ideas and technical aspects of machine learning, fully explored in this book, provides a significant liberal arts component. In many real life situations, valid generalizations can be inter-mixed with beliefs which have little objective (predictive) value. This book advocates a critical attitude toward distinguishing between valid data-driven generalizations and beliefs, which becomes increasingly important in the modern data-rich world. Content Level: This textbook is designed for upper-level undergraduate and beginning graduate students in engineering and science. It provides a solid methodological background for students and practitioners interested in real-life applications of machine learning, data mining and pattern recognition. The book contains over 60 examples and case studies illustrating various aspects of learning methods. Each chapter includes problems that can be used for self-study or homework assignments. Supplemental material includes: lecture slides, data sets, and MATLAB scripts. Contents: Introduction and Overview.-Basic Learning Approaches and Complexity Control.- Philosophical Perspectives.- Statistical Learning Theory.- Statistical Methods.- Neural Network Methods.- Support Vector Machines.- Combining Methods and Ensemble Learning.- Nonstandard Learning Approaches.- Methodological Issues and Case Studies.- Index.